Pensions are becoming an increasingly important issue in family law. In the next few years, large numbers of baby boomers are about to retire and receive their pensions. The issue is what effect this will have on spousal support. When a couple separates, Canadian law treats the pension as property to be divided between the spouses, just like any other property. The value of the pension is today’s value of the future benefits that will be received when the pension holder retires. Pensions can be worth a surprisingly large amount, even though the pension holder may have several years of work before retirement. In fact, for many couples, a pension may even be worth more than the matrimonial home. This makes it even more important that the pension is divided fairly. However, pensions differ from most other assets in that they are also a stream of income. When the pension holder retires, the pension becomes a stream of income. And unlike other assets that normally increase in value over time, as the pension is paid out, its value decreases. Often, when a couple separates, the main assets are the matrimonial home and a pension. This may mean that the husband keeps his pension and the wife keeps the home. This is pretty much what happened in the Boston case. When Mr and Mrs Boston separated, Mr Boston’s pension was worth well over $300,000. So, he kept his pension and a few personal belongings. On the other hand, Mrs Boston kept the family home, farm, cottage and most of the savings. As part of the separation agreement, Mr Boston agreed to pay $3,200 per month in spousal support, indexed for inflation. Three years after the agreement, Mr Boston retired. His income declined, as he was no longer working. Instead, most of his income was from his pension. He applied to the court to have his spousal support payments reduced as a result of his reduced income. His argument was simple. As his pension had already been taken into account when dividing the marital property, he should not have to pay spousal support based on his pension income. Mrs Boston had given up her half of the value of the pension, and in return had received virtually all of the marital assets. She should not now be able to “double dip” and receive spousal support based on his pension income. This would be unfair to Mr Boston. Mrs Boston argued that she had been a traditional homemaker for her entire life, and would not be able to find employment. She was used to receiving spousal support at a certain level, and had grown accustomed to a certain standard of living. She should not lose this all simply because Mr Boston decided to retire. At trial, the judge agreed with Mr Boston, and lowered his spousal support payments to $950 per month, not indexed for inflation. Mrs Boston appealed to the Ontario Court of Appeal. She won her appeal, and Mr Boston was ordered to pay $2,000 per month in spousal support, indexed for inflation. Mr Boston then appealed this decision to the Supreme Court of Canada. In my view, the Supreme Court’s decision was right. It would be unfair to give Mrs Boston half of Mr Boston’s pension at separation, and then give her more of the pension at a later date. Mr Boston’s pension income came from assets accumulated prior to separation, and these assets were already fairly divided. The Supreme Court also found that Mrs Boston had an obligation to use her assets to generate a stream of income for her own support. Mrs Boston had nearly half-a-million dollars. She was required to invest this money to generate a “pension” for her own support. The Supreme Court stated that if someone fails to use his or her assets to generate an income, courts may impute an income based on the returns that the assets could be expected to generate if invested. In my view, this is also a correct decision. After separation, Mr Boston was only left with his pension — an asset that would decline in value over time. On the other hand, Mrs Boston had over $300,000 in assets, which could be invested, and in fact, did increase in value. She should be required to use up these funds for her own support, just as the husband had to use up his pension for his own support. Of course, the law is never so simple as this. The Supreme Court left open a big exception to the rule against double dipping – it is allowed in cases where it cannot be “fairly avoided.” For instance, double dipping may be permitted in cases where the husband can afford to pay additional spousal support, and the wife still needs the money even though she has made a reasonable effort to produce income from her assets. In subsequent decisions, the exceptions to the rule in the Boston case have become so numerous that they have almost become larger than the rule itself. 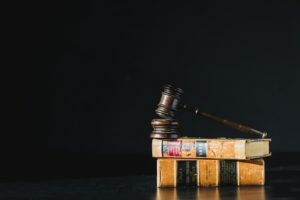 There has been a string of decisions after Boston, at both the trial and appellate level, where double recovery has been allowed, for one reason or another. The exceptions to the Boston case can make it difficult to settle the financial issues in a separation where there is a pension with a large value. The pension holder, normally the husband, is naturally reluctant to divide things equally if it means that when he retires, he will have to pay spousal support based on his pension income. One solution is what is known as an “if and when” pension division. This means that the pension is not divided along with the other marital assets. Instead, if and when the husband receives his pension, he pays a certain percentage of it to his former wife. This is risky from the wife’s perspective, as if the husband passes away prior to receiving his pension, she could be left with nothing. If an “if and when” pension division is not feasible, then dividing property on separation must be handled very carefully. It should be made clear in the separation agreement exactly what the pension is worth, and how this figure was arrived at. Preferably, this value should be backed up with an actuarial valuation of the pension. Another consideration is that income-generating assets should be transferred to the spouse without a pension, if possible. This way, the spouse without a pension can invest those assets to create a stream of income equivalent to a pension. Then her need for spousal support when her former husband retires will be reduced. Ultimately, however, none of these solutions is entirely satisfactory. The pension holder, normally the husband, is always at risk that his former wife will get a double recovery from him. And the spouse without a pension, normally the wife, faces the risk that her income will fall drastically simply because her former husband decides to retire. The solution to the problem of double dipping really must be a statutory one. There should be a way such that a couple who separates can divide pension credits on an equitable basis. This would ensure that both the husband and the wife receive a retirement income based on the value of the pension acquired during marriage. Already, for some types of pensions this is possible. For instance, under the Pension Benefits Division Act, federal government pensions are divisible at source. However, for most pensions, this is not available. Until this happens, a fair division of marital property that includes a valuable pension will be difficult.